Chris’ vast work experience of more than 29 years in various countries such as Tanzania, South Africa, USA, Philippines, People’s Republic of China, Germany and Hong Kong include leading the creation of the Electronics & Electrical National Key Economic Area roadmap according to the Electronics & Electrical lab; facilitating the implementation of Electronics and Electrical sector by partnership with Ministers of Ministry of International Trade and Industry (MITI) & Ministry of Science Technology and Innovation (MOSTI). His work currently entails coordination of outreach projects to enable adoption of PEMANDU’s transformation methodology by Governments in Africa and Russia. Chris also conducts leadership workshops to assist in identification of focus and priorities in national strategies. 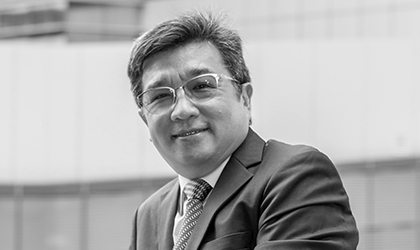 Prior to his work with PEMANDU, Chris’ roles include being a Senior VP/GM of Northern Corridor Economic Region (NCER) Manufacturing Industry Development, Northern Corridor Implementation Authority (NCIA); he was also the Country Manager for Intel Malaysia and Global Supply Chain Manager/ Planning & Logistics Systems Architecture Lead for Intel Cooperation. Chris graduated from the Australian National University in Canberra, Australia in BSc Biochemistry. He is also certified in Production & Inventory Management (CPIM) and American Production & Inventory Control Society (APICS). Chris’ work currently entails coordination of outreach projects to enable adoption of PEMANDU’s transformation methodology by Governments in Africa and Russia. Chris also conducts leadership workshops to assist in identification of focus and priorities in national strategies.